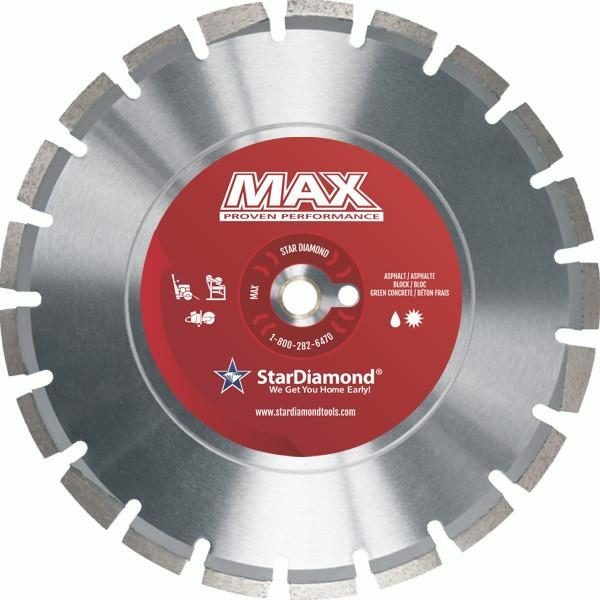 The Max Asphalt cutting blade is a great blade for the professional contractor who demands good tool performance with a low initial cost. Features full radius undercut protection segments for added service life. Laser welded 10mm segments with a heavy diamond concentration. The Max Asphalt blade is great for cutting through green concrete, asphalt and soft abrasive masonry materials like light weight concrete block.